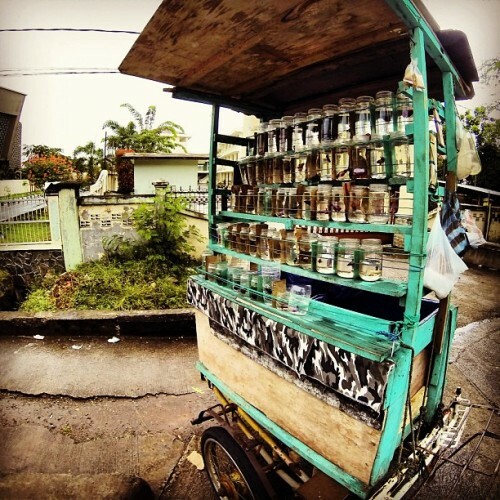 Traditional Beta Fish seller in Banda Aceh. 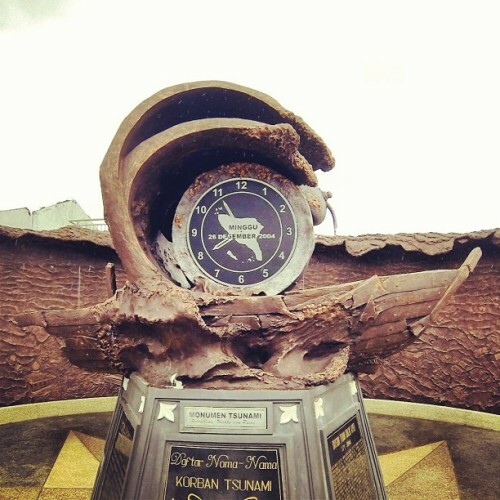 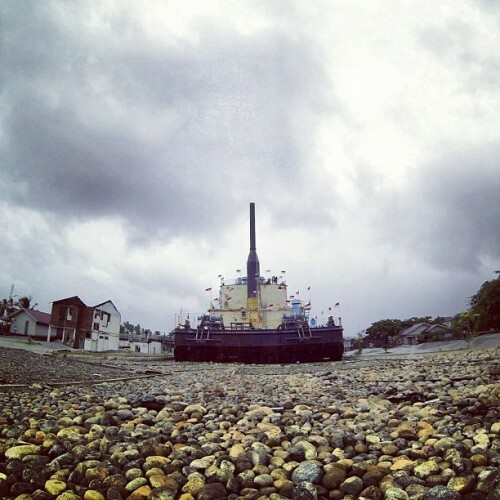 Tsunami Monument in Banda Aceh. 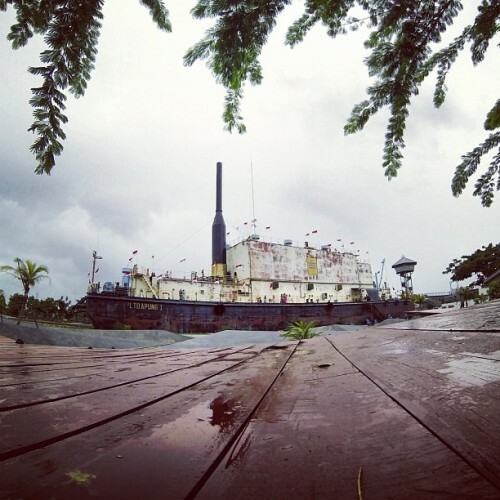 A 2600 ton offshore diesel-powered electric generator that pushed 5 Km from to land by 2004 Tsunami.